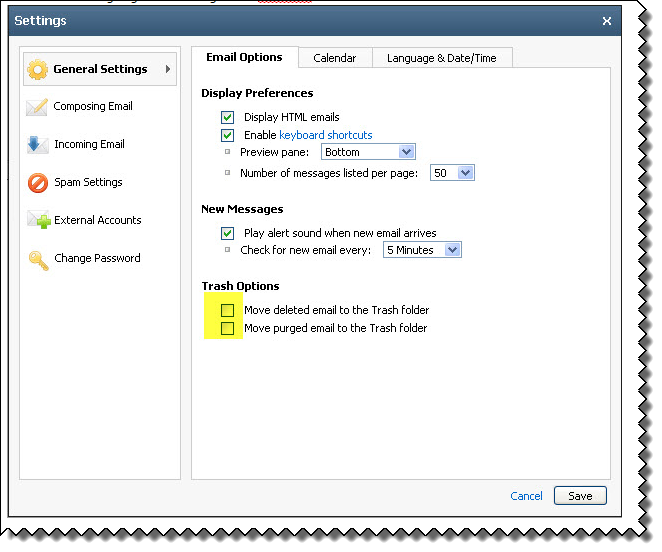 What do I do if my Email is full? Log in to your webmail at http://webmail.goecart.net. Click on the Settings icon in the top right corner. It looks like 3 horizontal lines and it is next to your email address then click Settings. Find the two highlighted settings and uncheck those two boxes. Now click Save. 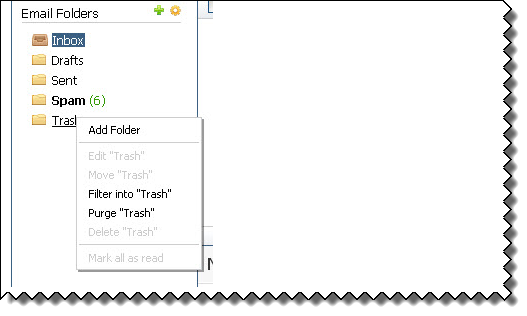 Purge the Trash folder by right-clicking on it and clicking Purge. Go to the Inbox and any other folders and delete any items that you have no need for. (Optional) Restore the check boxes from step 3.